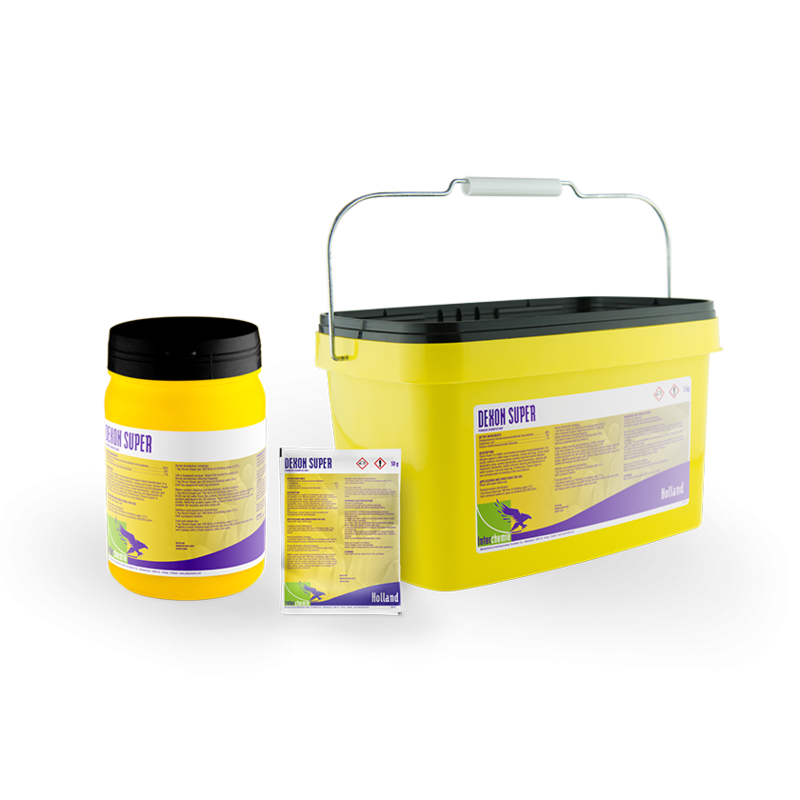 - Highly effective against important Animal diseases like Newcastle disease, Infectious bronchitis, infectious bursal disease, Marek disease, infectious laryngotrachitis, egg drop syndrome virus, avian influenza, foot and mouth disease, porcine reproductive and respiratory syndrome virus and swine vesicular disease. Prepare fresh working solution by dissolving 1 kg into 100-200 litres of water. Use pressure washer to spray on surfaces 250-300ml/m2. Drain out all water from the system. Make 1% solution of Dexon-100 and put that solution into system and leave it for 30 minutes. Flush out the solution to drain-off points. Refill the system again with solution and leave it further 30 minutes and then drain-off. It destroys biofilms due to its high level of surfactancy with strong oxidizing power.